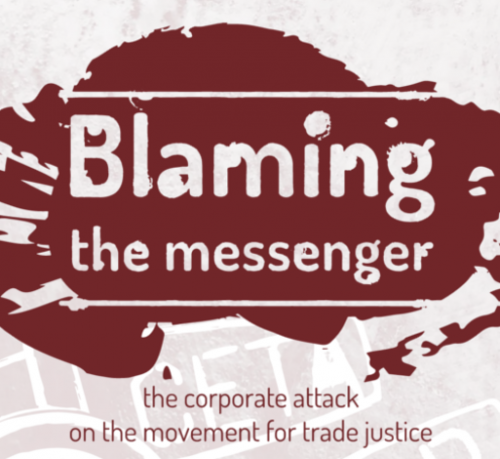 Corporate lobbies and think tanks have gone on what appears to be a concerted attack against NGOs and other groups opposing new free trade and investment deals. Our new report, Blaming the Messenger: the corporate attack on the movement for trade justice, exposes how big business interests with the most to gain from the trade agreements have been trying to undermine and discredit civil society groups. Trade deals like TTIP, CETA and the EU-Japan agreement, are economic treaties that represent one very specific and ideological incarnation of trade policy, one that is intended to serve the interests of big business. It is the daily experiences of labour precariousness, exposure to toxic chemicals, privatisation of public services, and big business cost-cutting that prioritises profit over safety and health. People are increasingly becoming critical of the current economic system and want to have a say in how to change it. But the new trade deals threaten to lock this system in, with the only voices heard being those of trade ‘experts’ and big business.